Where Do Phoenix Tax Dollars Go??! Here’s some interesting information on how those Phoenix tax dollars are distributed. You may moan about paying taxes — that is a pretty big chunk of your pay, after all — you may change your tune once you realize the important programs that your tax money supports. Some people may not be happy when they hear that tax money is used to pay for controversial things like a faith-based program or surveillance programs, but few people disagree about the importance of funding things like education or police departments. The majority of tax dollars support the military. In 2013, 27 cents out of every tax dollar went to funding the military, including personnel and equipment. The next largest chunk of the tax pie goes to health care, including programs like Medicaid and Medicare. In 2013, health care got 22.7 cents of every tax dollar. Those numbers may change now that more people are receiving health care subsidies through the Affordable Care Act, but we will have to wait a bit before the final numbers are calculated. Despite raking in more than $3 trillion per year in taxes, the government still has to borrow quite a lot of money every year to fund all its departments and programs. In 2013, interest on those debts took up 13.9 percent of every dollar. Unemployment benefits and labor programs took in 9.8 cents out of every dollar. Funding for these programs can fluctuate based on economic factors and changing economic rates. Veterans get benefits ranging from health care to pensions and education grants. Just over 5 cents of every tax dollar goes to fund these benefits programs. Farmers receive many subsidies for their products through a number of programs. The government pays 5 cents of every tax dollar for these programs. Many other programs take a smaller slice of the tax pie. Government takes 4.5 cents (which includes police, fire and other services), and housing and community programs take 4 cents. Education gets a measly 2 cents, while energy and environmental programs get 1.9 cents. International affairs get 1.5 cents, and transportation gets 1.4 cents. Science programs get 1.1 cents. Understanding where your tax money goes can help you understand the importance of paying your tax obligations, even though you’d rather pocket more of your paycheck for yourself. If you owe taxes and don’t pay them, you can face serious financial and criminal penalties. Silver Law PLC provides Phoenix tax representation. An experienced tax lawyer from our team can represent you in an audit or tax litigation, can help you fight collection efforts, and can help you file for innocent spouse relief. Your tax lawyer can help you better understand tax laws and your legal rights and can improve the chances of a successful outcome for your case. 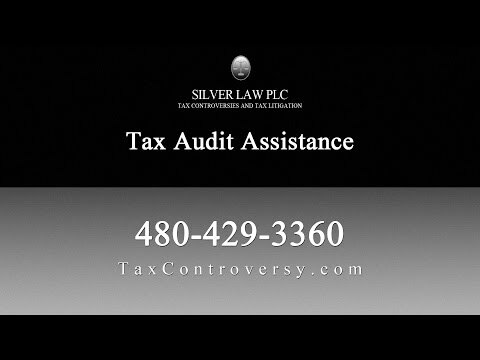 Call our firm today if you need tax help in Arizona.